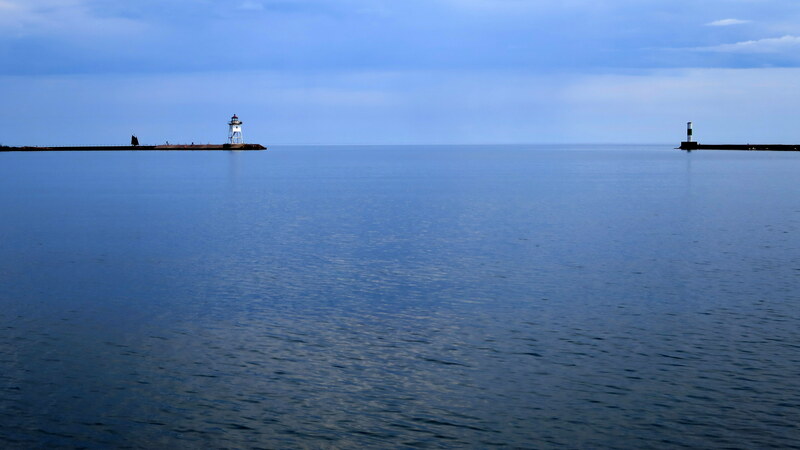 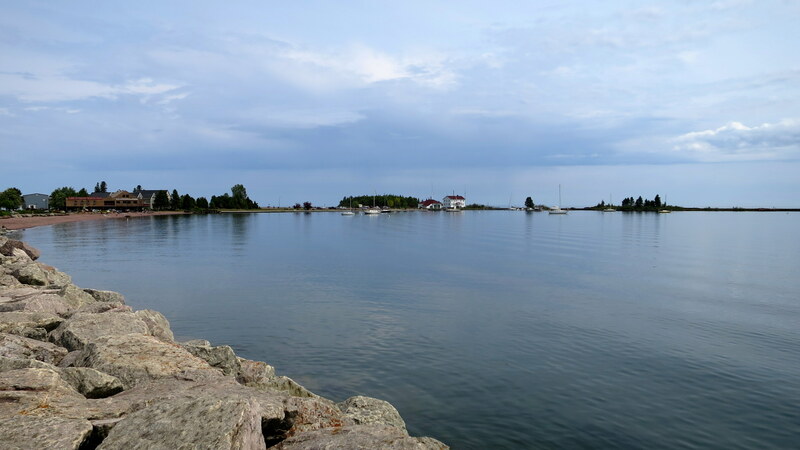 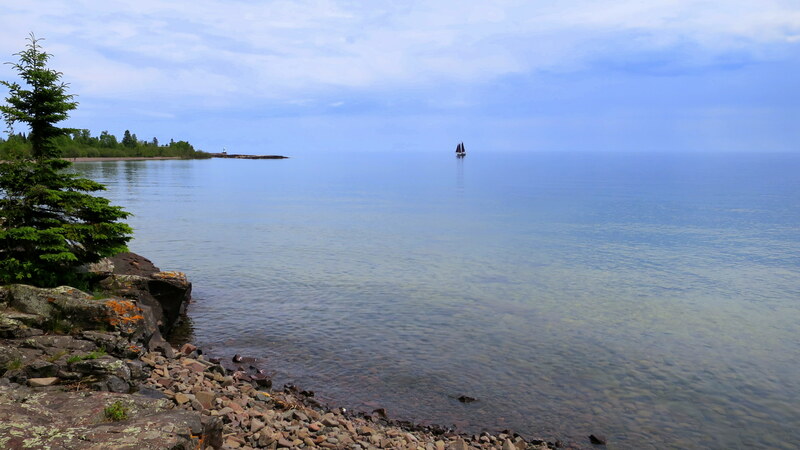 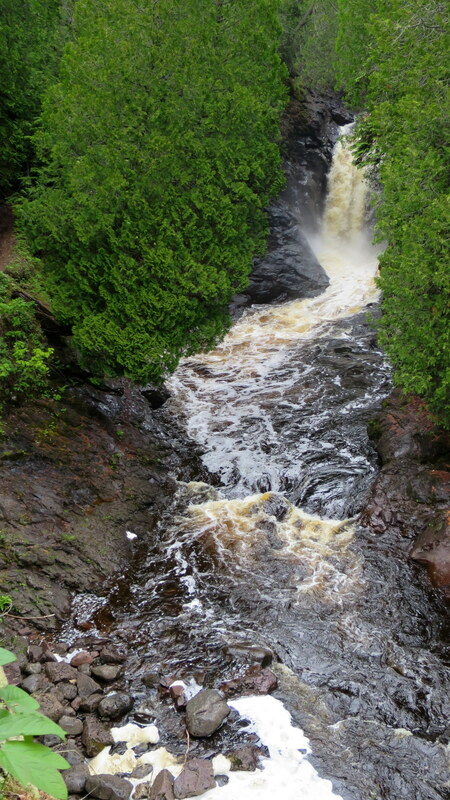 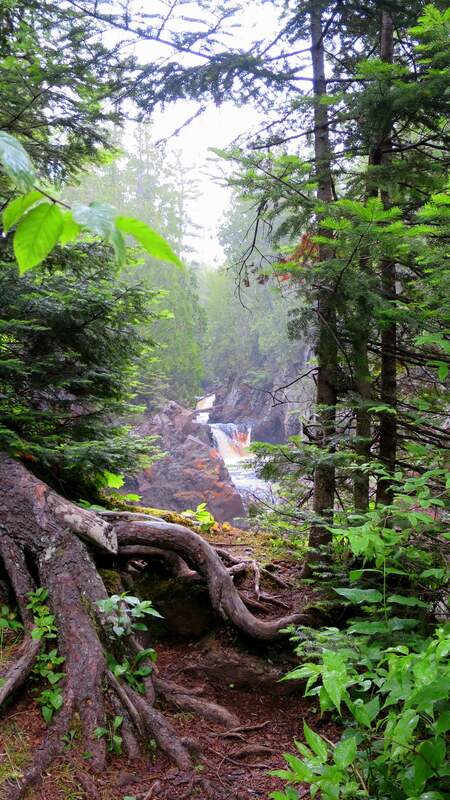 Our second day in Grand Marais we took a run ten miles south on Highway 61 to see Cascade River State Park in the morning, timing our visit between rain showers. 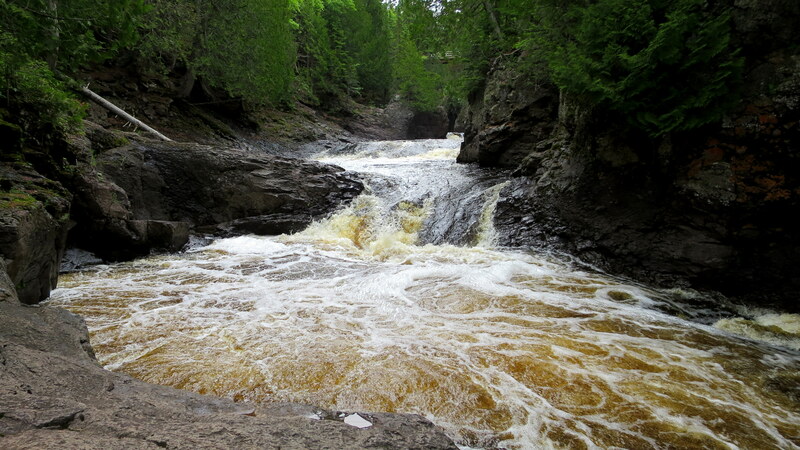 We walked the mile and half (or so) Cascade River Trail first upriver along the gorge and then back downriver towards the highway and the river mouth. 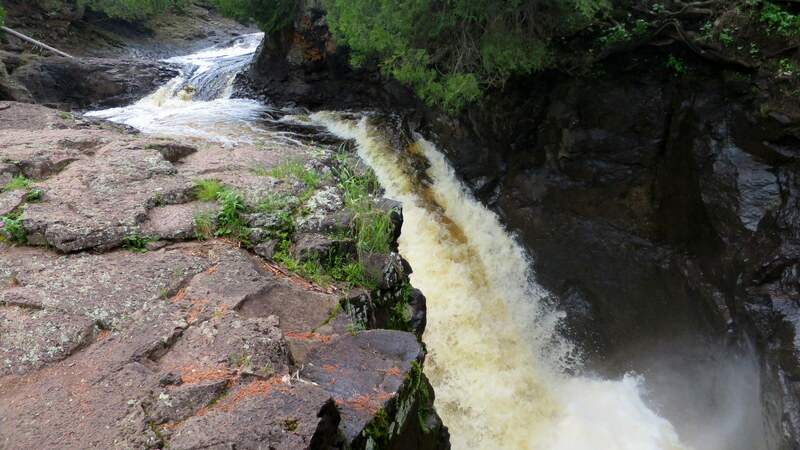 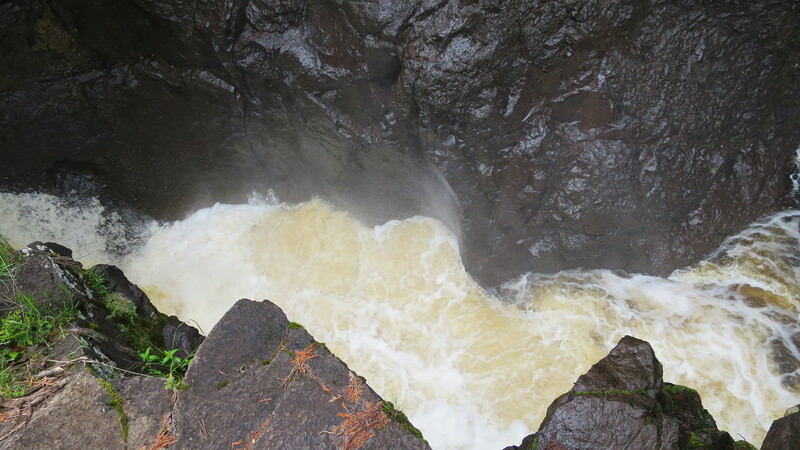 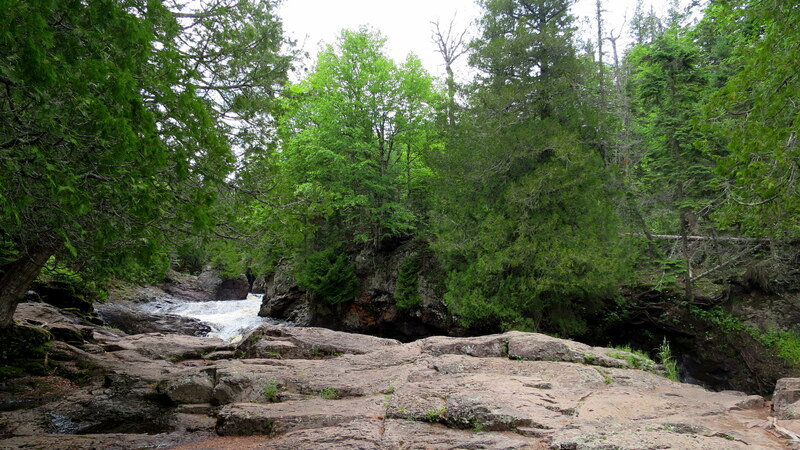 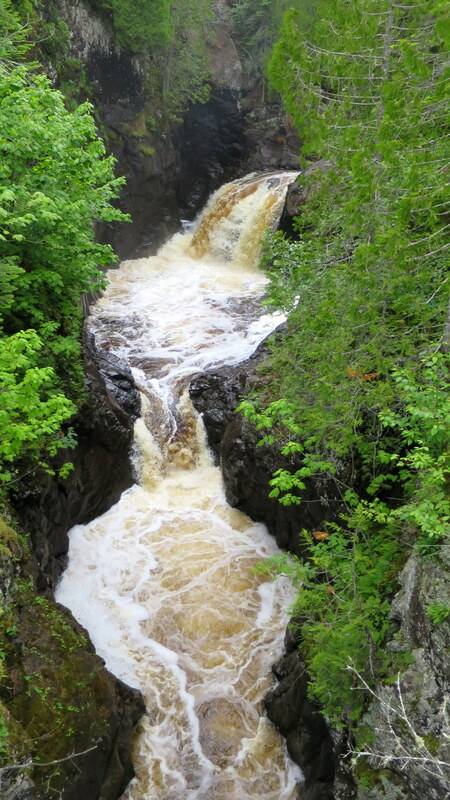 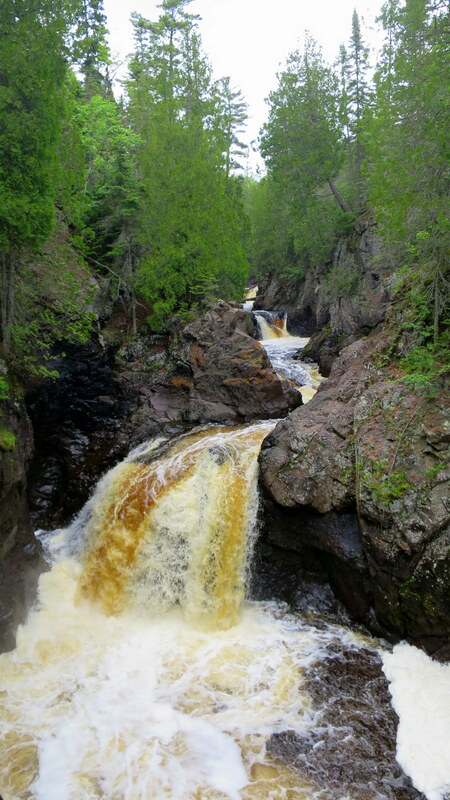 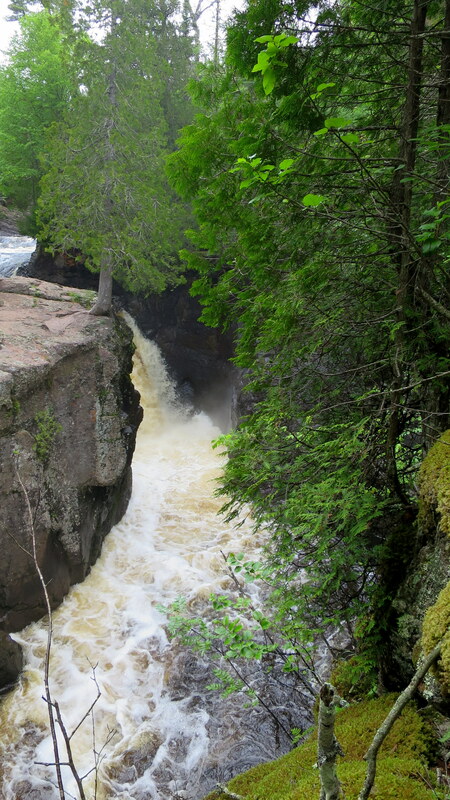 The entire trail was lush and quite lovely, and many sections along the gorge offered dramatic drop offs and impressive views of the water hurling towards Lake Superior. 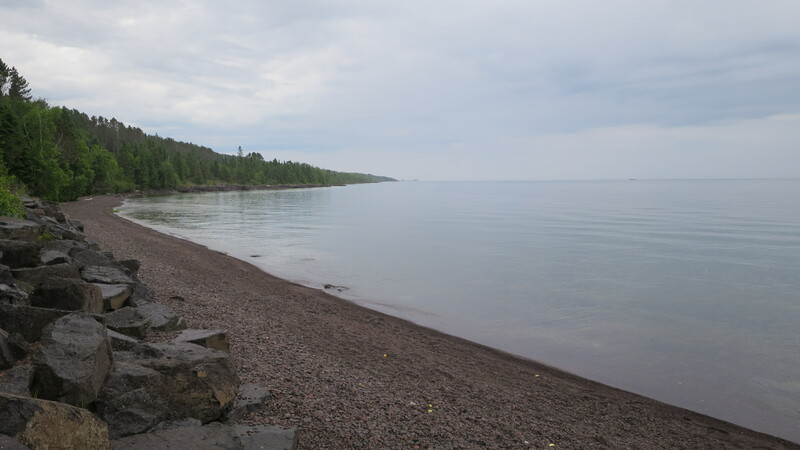 On our way back to Grand Marais we stopped at a wayside on a pebbled beach known to be one of the few places where the rare rock thomsonite can be found. 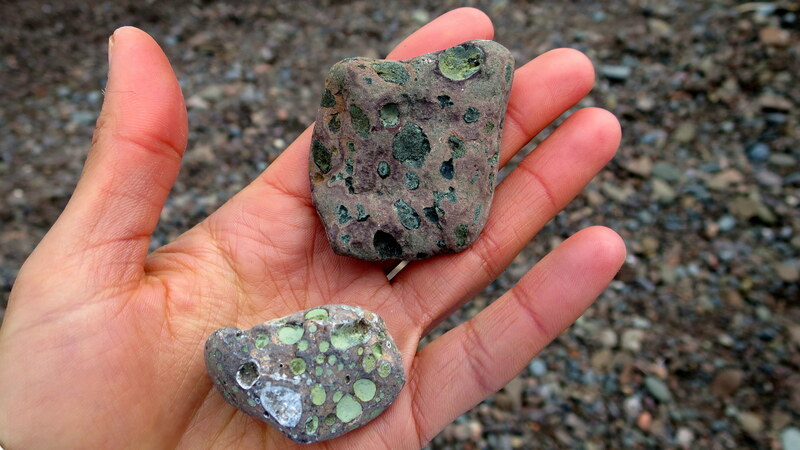 We didn’t find any thomsonite but we had a good time walking and finding other interesting rocks along the way. 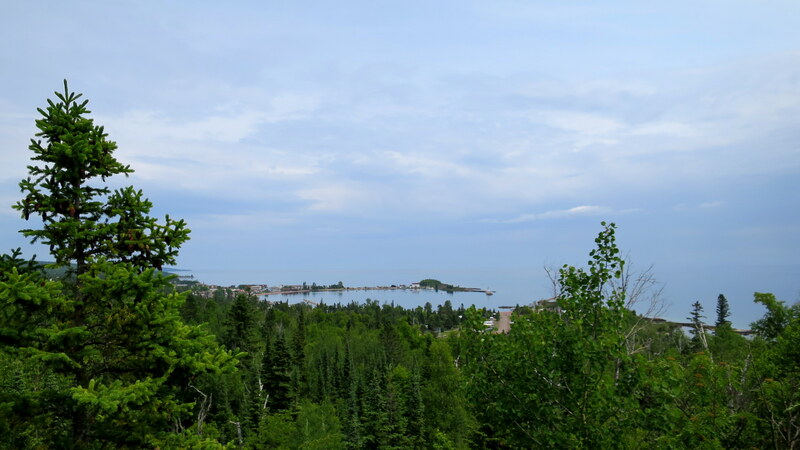 In the afternoon Abby and I walked the Overlook Loop Trail in Sweethearts Bluff Nature Area adjacent to our campground which provided a view of the harbor from above. 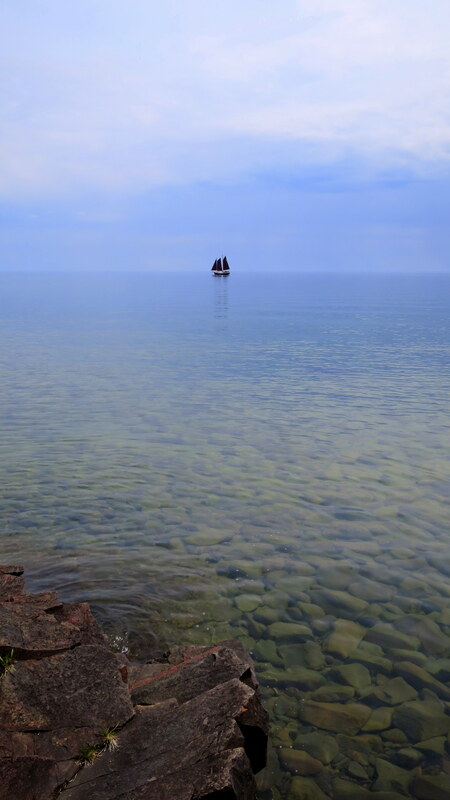 On the return we opted to walk along the beach then past the campground around the harbor, and ended up being there at the perfect time to see a beautiful sailboat cruise past.